This teachers’ guide to law will be of particular interest if you are a teacher interested in finding out more about the study and practice of law. The page aims to provide you with all the information you need so that you can advise your students accordingly. The short answer is: no subjects in particular! Unlike individuals who want to study to be a doctor, for example, where science-based subjects are a must, there are no such restraints or expectations with law. The best advice you can give is to explain to students that they should study what they are interested in and what they are good at. Ultimately, to study and pursue a career in law, universities and future employers will be looking for an extremely strong academic record. The results will mean more to them than the subjects studied. So whether the student is interested in Maths, English or the Sciences, it will all look great on the CV as long as the grades following them are good. Many universities and employers now expect students to achieve AAA, so the key is for students to do A-Levels they think they will excel in. Deciding to study and practice law is a big decision. Work experience is a great way for students to see if law is right for them. Visit our page, Law Work Experience Opportunities for School Age Children, for more information on legal work experience. You could also visit our page on Law Work Experience. All students are required to study these modules and in addition can select elective modules to supplement the course. If the student is thinking about a law degree with a view to pursuing a career in law, they must ensure that the degree course they enrol on is a qualifying law degree. Most LLB law degrees fall into this bracket. BA law degrees on the other hand are not always qualifying. It is therefore important to flag this to the student and ask them to double check that the law degrees they are applying for are qualifying if the greater plan is to ultimately practice law. It is important to stress to students that if they are considering applying to university but are still undecided as to whether to study law, they could complete an undergraduate degree in another topic and convert to law following that degree. This is a very popular route at present. A non-law degree can be converted into a law degree in one year (on full-time GDL courses) or two years (on part-time GDL courses). The advantage of doing a non-law degree first is that the student will have a broad understanding in another topic and will have given themselves the time to fully consider whether a career in law is right for them. The most common law conversion course around at the moment is the Graduate Diploma in Law (the GDL). It is an extremely intense year and is not for the faint-hearted! It essentially involves the study of the compulsory modules of a law degree (above) in one year (full-time) or two years (part-time). Teachers’ Guide to Law: Will Future Employers Favour Law Degree Applicants Over Non-Law Degree Applicants? This is often a concern of students weighing up whether to do a straight law degree or convert later down the line. The basic answer is that employers favour both routes extremely positively. Employers like law degree students for their dedication to the subject from the word go. They like the law conversion students because they have an extra string to their bow in terms of a degree and deep knowledge in a different subject. They also respect the dedication involved in undertaking a law conversion course and the work involved. On balance both routes are considered extremely positively so it really does come down to the student’s personal preference. Teachers’ Guide to Law: Barrister or Solicitor? As such, your students will not be at a stage where they are having to make full-on career decisions. Once they have embarked upon their undergraduate studies, they will have plenty of time to research which career is right for them! That being said, it is good for students to keep the kind of legal career they may wish to pursue in their minds, as it may inform the type of work experience they undertake. However, solicitor and barrister careers tend to be the most popular among students and therefore form the focus of this page. For students who have completed an LLB law degree or a non-law degree and the GDL, then the next step is to complete the LPC if they wish to practice as a solicitor. In addition to the core modules, students are free to choose up to three elective modules to reflect and compliment areas of law they are particularly interested in, whether it be banking law, employment law or media law, for example. Following successful completion of the LPC, the final stage that students must undertake before qualifying as a solicitor is a training contract. This is a 24 month period of paid work-based learning, which is typically undertaken in a law firm or in-house legal department within a large commercial organisation, such as the BBC or BT. During this period, individuals will shadow solicitors and undertake tasks such as drafting and legal research within different departments to build up their experience to a point where they are set for qualification. For students who have completed an LLB law degree or a non-law degree and the GDL, the next step, if they wish to practice as a barrister, is to complete the BPTC. The BPTC also allows individuals to choose elective modules to narrow their expertise to a field they hope to practice in as a qualified barrister. Following completion of the BPTC, the final stage students must undertake before qualifying as a barrister is pupillage. This is usually a 12 month period of paid work-based learning, completed in a barristers chambers, which involves the pupil shadowing an experienced barrister and independently taking on some simple cases. 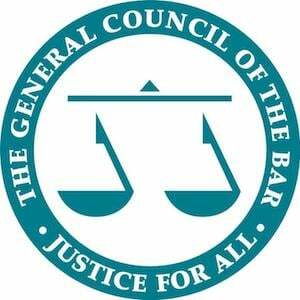 NOTE: The Bar Standards Board has issued a similar consultation to the SRA consultation mentioned above which may alter the routes to qualification as a barrister. As and when more information materialises on this topic, we will update this page with the latest news and developments. It is now possible for individuals to train and qualify as a solicitor, paralegal or chartered legal executive without going to university! The Trailblazer Legal Apprenticeship schemes have been recently introduced in response to the Government’s initiative to increase the number of apprenticeship opportunities within the UK. Apprenticeships are a combination of work-based learning and academic studies completed within a law school setting. To get onto the schemes, which a number of law firms across the country are now running, applicants must have completed A-Levels to a high standard (typically BBB and above). Our exciting Mock Trials thrust students into the dramatic surrounds of a realistic courtroom experience. The event can be held at your school for 15+ students. It is perfect for all students in Year 10 and above. The Lawyer Portal’s half-day LNAT Workshop is designed to prepare students to score highly in the challenging LNAT exam and can be delivered in-house at your school. Get in touch with us to find out more!